In 2015, CPOP introduced the Retrowave Collection, an archive collecting previously sacrificed titles, remastered for the CPOP's modern age. 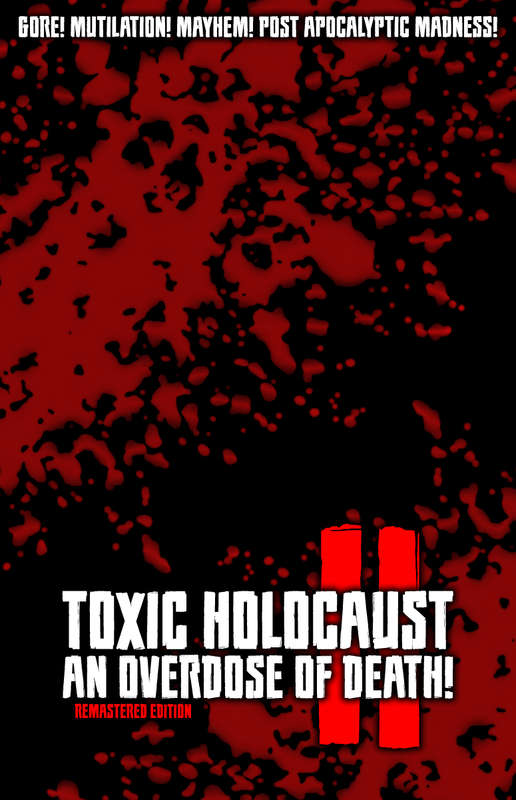 Toxic Holocaust II: An Overdose of Death! is an over the top tabletop miniatures skirmish wargame, set in the post apocalyptic world of GRAXX. In the revival of Toxic Holocaust, the sequal introduces an updated rules system, but carries the same 100% custom creation system introduced in the first edition. Players will create their own gangs of mutants, rats, reptiles, human survivors and more, equip them with weapons, traits, skills and more, then take them into battle on the harsh and brutal wastelands of GRAXX. You are more than welcome to return to GRAXX; to return to an overdose, of DEATH. Paying homage to the 1980's and it's wacky, over-the-top themes, such as: gore, horror, exploitation, crime drama, slasher flicks, THII continues the march to madness, in this newly revamped and restored edition to the original second edition rulebook, complete with custom gang and unit creation, skills, traits, weapons, equipment, scenarios, battle conditions and so much more. We welcome you to return to where the world of GRAXX became the home of CPOP and its CVLT. *Toxic Holocaust contains vulgar language and is intended for mature audiences.